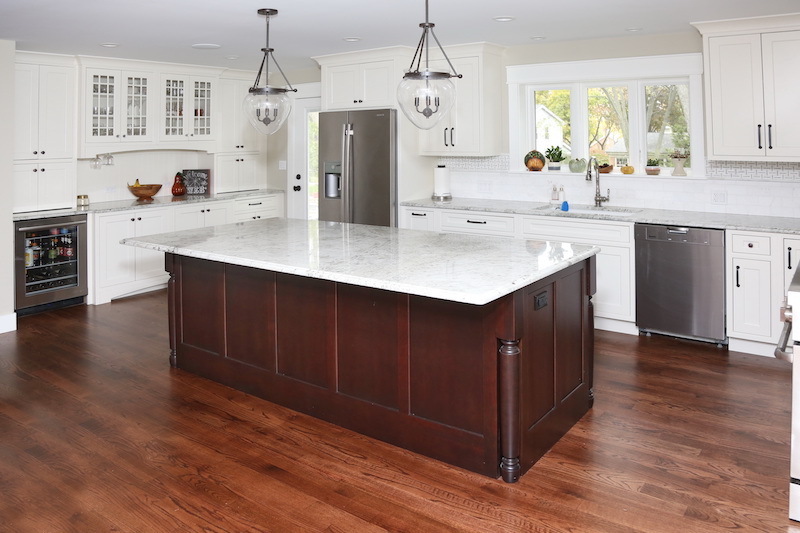 We recently completed a gorgeous kitchen remodel in Arlington Heights. The owner wanted a more functional, up-to-date kitchen with additional storage space and a more open feel. 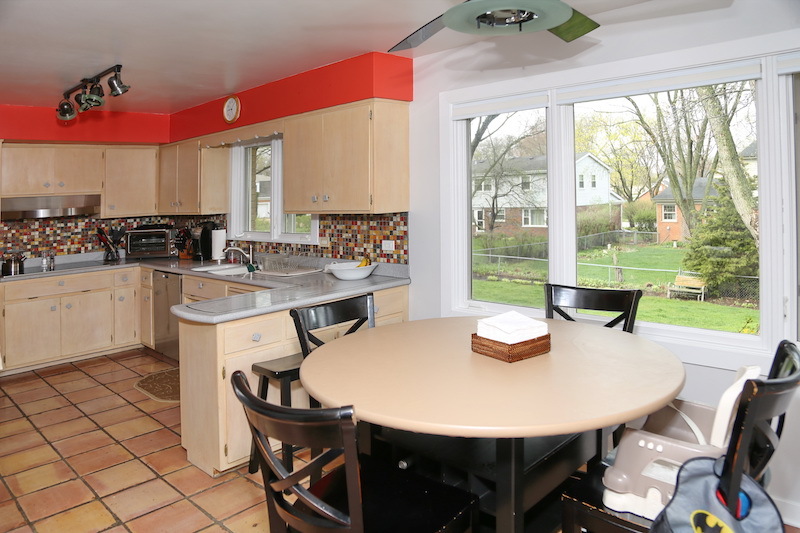 The existing kitchen was dated and very cramped with a separate formal dining area. So we redesigned the kitchen into an open space living area. We included an oversized island with plenty of storage and casual seating. We moved the microwave to the island so we could maximize the overhead cabinet space. The beautiful white cabinetry compliments the cherry/chestnut island, creating a stylish, functional kitchen the owners will love!